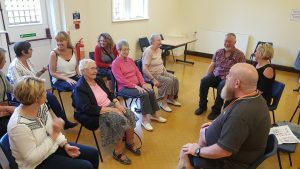 Gentle chair-based exercise sessions with a hot cuppa and biscuits afterwards. Everybody welcome, no skills or level of mobility required. 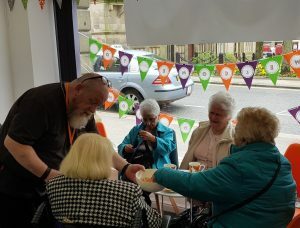 Our friendly shopping companion volunteers and staff help people to access local businesses, shops and supermarkets—giving greater choice and independence. Whilst offering a comfortable space to socialised and catch-up with a chat over a cuppa. Please see our current weekly timetable of activities for day/times. A range of different activities. Please see our current timetable for more information about what’s on offer.